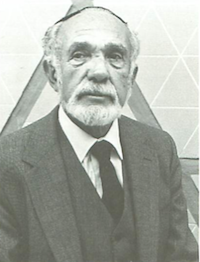 Our school was established in 1963, when a handful of families, led by Rabbi Saul White of Congregation Beth Sholom in San Francisco, were looking to create a Jewish community day school. Brandeis opened with a total of 34 children in kindergarten and first grade. 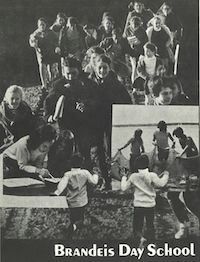 In 1973, Brandeis merged with the Hillel School to become Brandeis Hillel Day School (BHDS), and in 1983, moved to its present location on Brotherhood Way. Today, The Brandeis School of San Francisco shares space with the JCC Brotherhood Way Preschool—founded in 1966—which is a fully licensed program of the Jewish Community Center of San Francisco. In 1978, BHDS opened a second campus in San Rafael in Marin County. In 1996, with the assistance of the Jewish Community Federation, BHDS purchased the property at the San Francisco campus that was formerly owned by the Jewish Community Center of San Francisco. In 2002, BHDS embarked on a major expansion, creating the new building called the mercaz (Hebrew for “center”). and renovating other buildings during the process. The mercaz houses kindergarten through third grade classrooms, administrative offices, the library, the beit midrash, and other communal meeting spaces. In 2014, the BHDS Board of Trustees decided to create two independent schools, to give both campuses increased flexibility in meeting the unique educational needs of their students and communities. As a result, the 2014–2015 school year was a transitional year, culminating on July 1, 2015, when the San Francisco campus became The Brandeis School of San Francisco. Today, The Brandeis School of San Francisco serves the Jewish community of San Francisco by inspiring students to lead lives of learning and purpose. We provide an outstanding academic program in general and Judaic studies within a dynamic and diverse Jewish cultural environment. Louis Brandeis was a fighter for social justice who believed that social engagement was imperative. He was a strong advocate of individual rights and freedom of speech. As a Supreme Court justice, Brandeis made sure that the rights of minorities were heard. He was proud to be a Jew at a time when many Jews sought assimilation, and he was a proponent of Zionism long before the State of Israel came into being. His teachings and thoughts inspire our faculty and staff to teach our students to be scholarly—not just literate. And his words continue to inspire our students to use learning for group gain and to stretch their individual potential to its limit.